The journey to Machu Picchu on board the Belmond Hiram Bingham train is best described as lavish luxury with an ever-changing scene of unbelievable Sacred Valley landscapes. 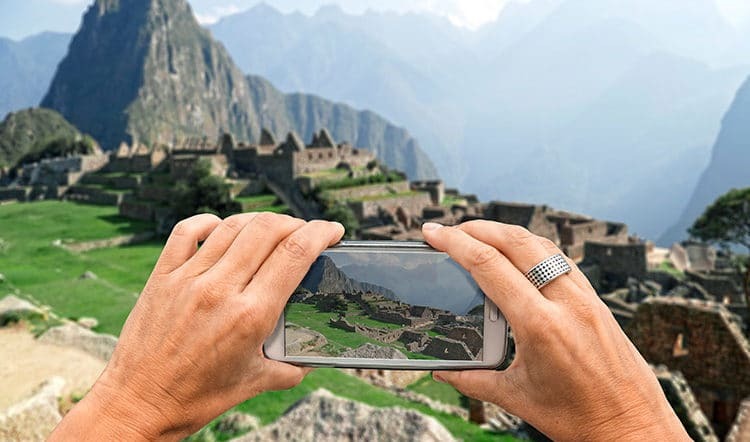 It’s an experience that actually parallels the one that had you exploring trains to Machu Picchu in the first place – The Inca Citadel of Machu Picchu. Mentally grab your seat in the 1920’s-inspired Pullman carriage and settle in because we’re about to describe exactly what’s it like to be a guest on board the Belmond Hiram Bingham train to Machu Picchu. All settled into your plush seat? Excellent. 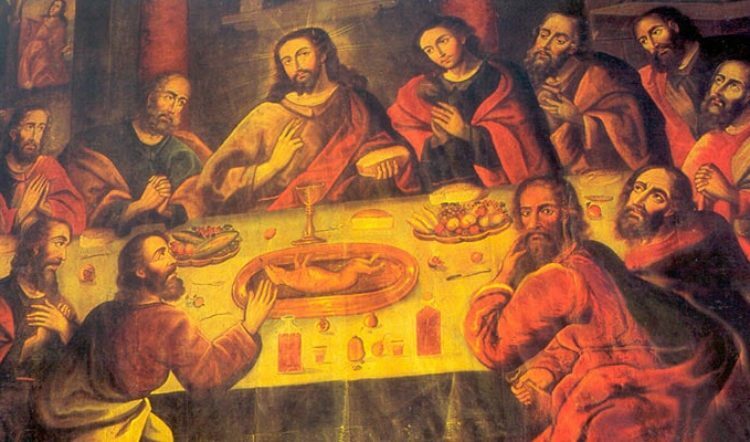 Within moments of leaving the Poroy (or Urubamba) station, a luxury 3-course brunch entirely sourced from Sacred Valley ingredients will fill the porcelain plate in front of you, while a maître d’ tops off your wine glass with orange juice or a welcome cocktail. You’ll wonder if you’ve been transported to a bygone era of old-world train travel, but then the views of Cusco fading off into the distance will bring you back to the present. 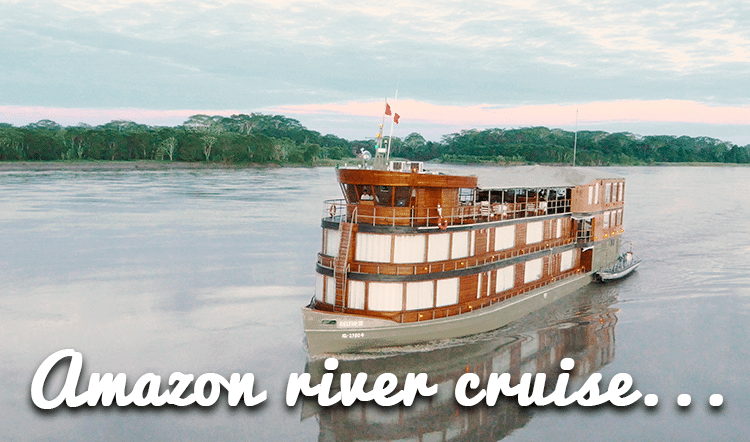 Which is exactly where you’ll want to be for what comes next on this luxury travel experience. The next leg of the 20-mile journey (roughly two hours) will likely be spent moving about the various cars of the Hiram Bingham luxury train. From the bar car for a round (or two) of pisco sours handcrafted by the bartender to the open-air observation car where a local band accents the pinch-me-please moment to the tune of traditional Andean music, and then back again to the dining car to relax and take in more of the passing views through your panoramic window. 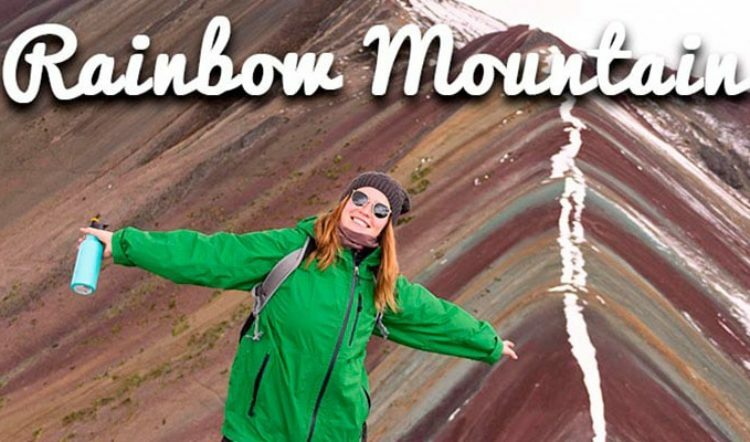 This leg is also some of the most scenic of the entire journey, as it follows the Urubamba River all the way to Machu Picchu’s Aguas Calientes station. The lush valley narrows and the mountains stand so tall you’ll have to crane your neck to even begin to see their mist-shrouded peaks. Well tended to by the attentive onboard staff and likely a little buzzed from the pisco sours and adrenaline of the moment, you arrive to the Machu Picchu Station in Aguas Calientes. A shuttle awaits to whisk you off to the gates of Machu Picchu where you’ll be led through the ancient citadel by an expert private guide. After your private tour, you can take afternoon tea at the Belmond Sanctuary Lodge located just next to the entrance to Machu Picchu – another complimentary perk of traveling onboard the Belmond Hiram Bingham train. Do It All Over Again on the Return Journey! 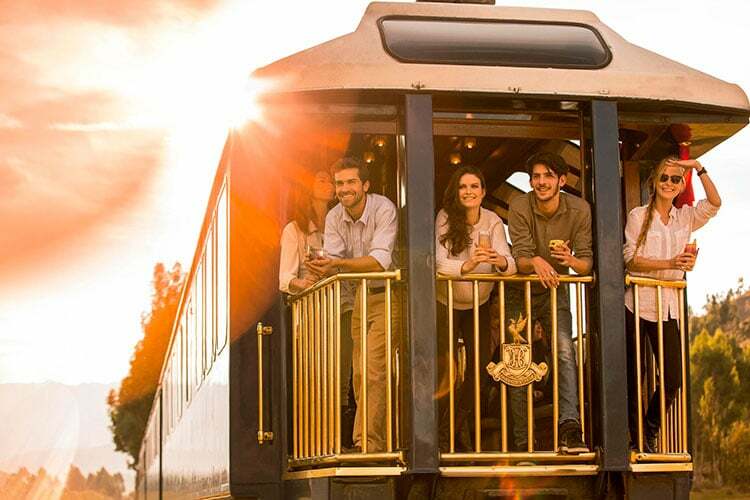 For those of you who made the wise choice of purchasing a round-trip ticket on the Hiram Bingham train, you get to experience the luxury and personalized attention all over again, this time with a four-course Andean-inspired dinner and views of the Sacred Valley at sunset. 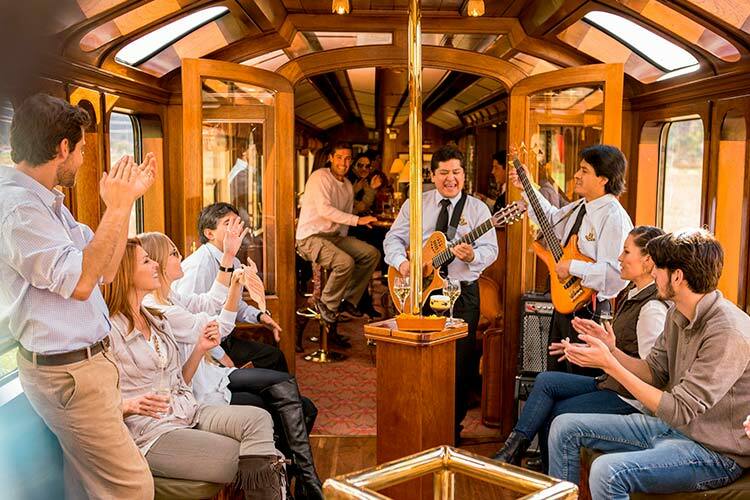 The observation car closes by nightfall, but the bar car is open during the entire journey to Cusco. 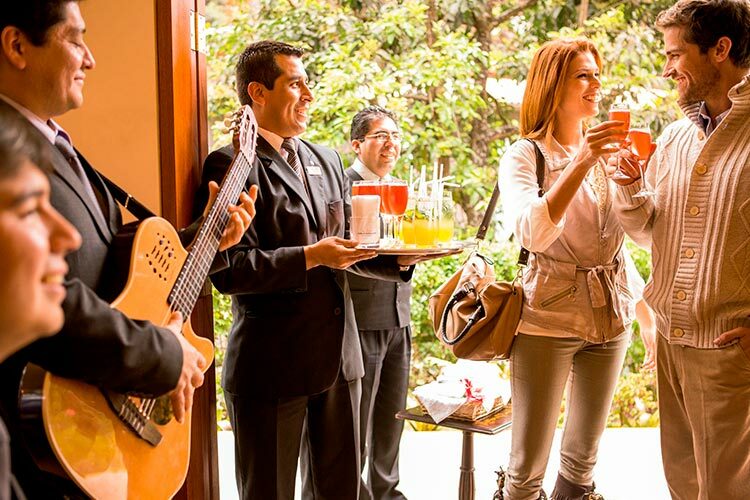 Toast the luxury Peru experience while trading tales of your visit to Machu Picchu with your fellow passengers. There’s a reason this particular train journey has been named one of the best trains in the world multiple times. 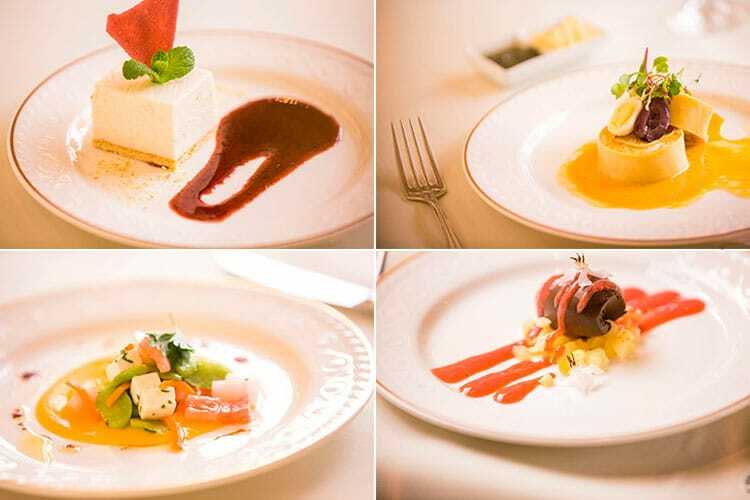 It’s pure luxury and class from start to finish, by train and while touring the Machu Picchu citadel. 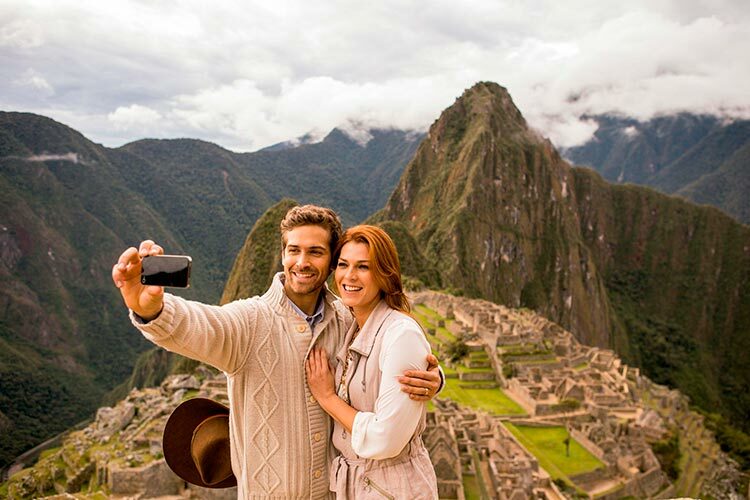 Experience it firsthand on your luxury Peru tour and trip to Machu Picchu.